signed by Authenticode. 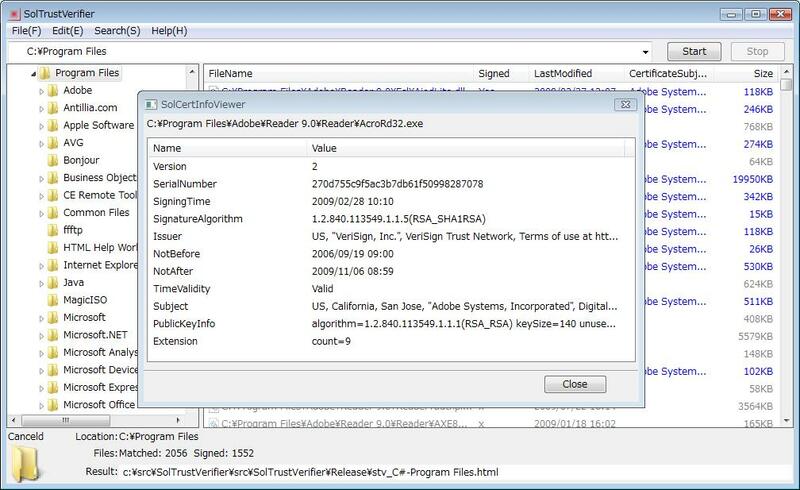 SolTrustVerifier is based on two classes TrustVerifier and SignedObject of SOL9 C++ class library. 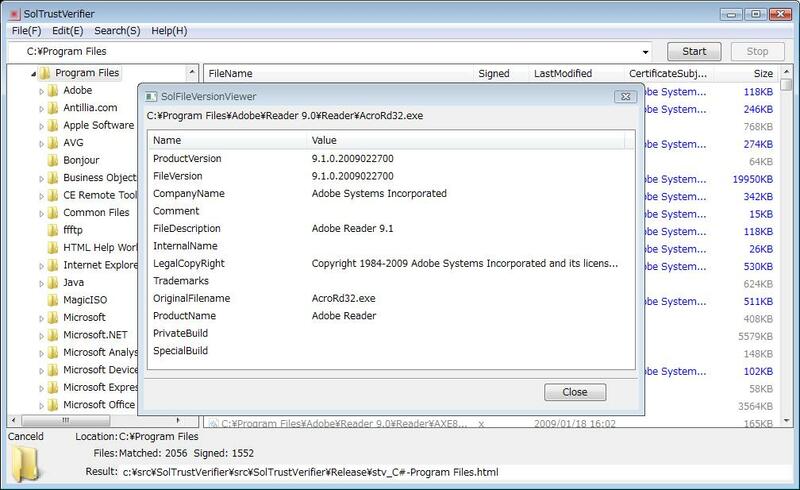 The TrustVerifier is a simple wrapper class to the wintrust WinVerifyTrust APIs and SignedObject to the wincrypt CryptQueryObject API. 2009/10/05: Modified to show an algorithm name for OIDs in SolCertInfoViewer. See Figure 2. 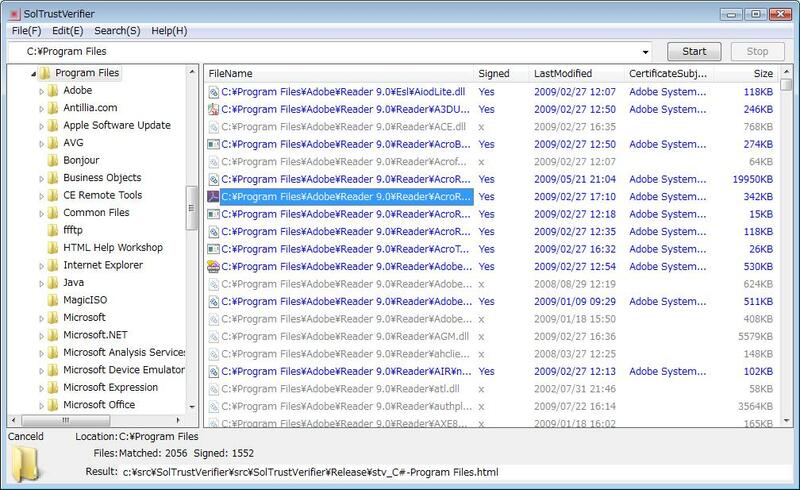 2009/10/05: Modified to show 'File Properties' information of a selected file in the listview. See Figure 3. 2009/10/05: Modified to show 'Version Properties' information of a selected file in the listview. See Figure 4. 2009/10/07: Updated for compatiblity on Windows 7. 1. 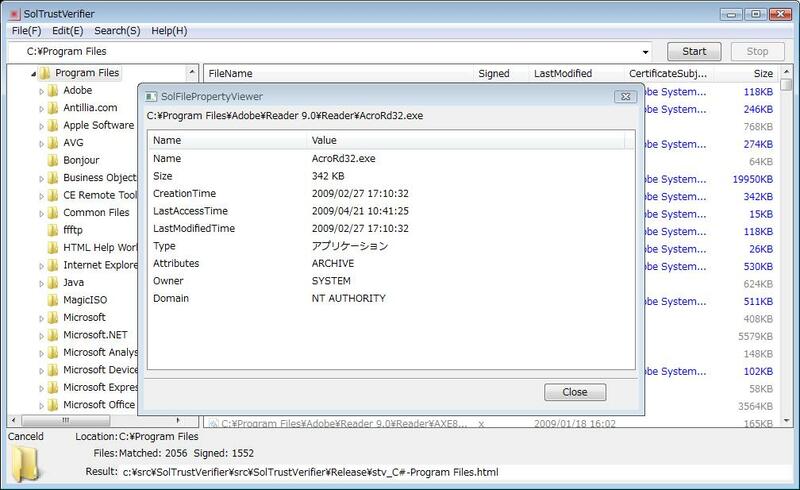 Run SolTrustVerifier program on your desktop, then a Windows Explorer like window will be displayed. See Figure 1. 3. 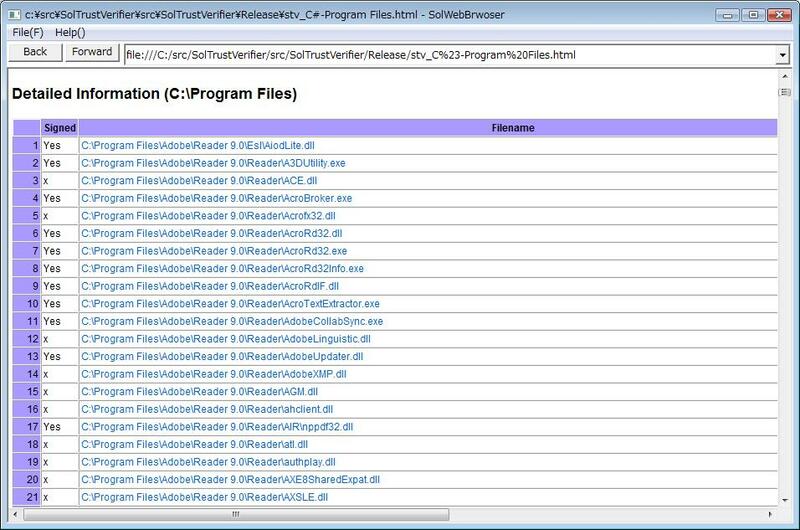 To start a search of files(*.exe, *.msi, *.dll, *.ocx, *.cab, *.cat), click [Start] button on the upper right of the the window. and the url to the file will be displayed bottom of the window. See Figures 5 and 6.